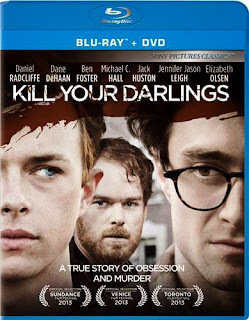 Kill Your Darlings will be available on DVD & Blu-ray in the US on 18th March, released by Sony Pictures Home Entertainment. 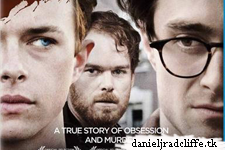 When Allen Ginsberg (Daniel Radcliffe), is accepted at Columbia, he finds stuffy tradition clashing with daringly modern ideas and attitudes—embodied by Lucien Carr (Dane DeHaan). Lucien is an object of fascination for shy, unsophisticated Allen, and soon he is drawn into Lucien’s hard-drinking, jazz-clubbing circle of friends, including William Burroughs (Ben Foster), the dissolute scion of a wealthy family, and David Kammerer (Michael C. Hall), an older hanger-on who clearly resents Allen’s position as Lucien’s new sidekick. A true story of friendship, love and murder, Kill Your Darlings recounts the pivotal year that changed Allen Ginsberg's life forever and provided the spark for him to start his creative revolution. Kill Your Darlings has a runtime of approximately 103 minutes and is rated R for sexual content, language, drug use and brief violence. "Daniel Radcliffe is full of vitality. Dane DeHaan is hot and dangerous." YEESS!!! I wait for this moment! When does it will be available here in Italy?! Any news on UK release date? Have you got any news about DVD here in Italy? Thank you! Thank you very much, now I search it! Google+: Letters of Note - Why Explore Space?